For motorcyclists or road warriors, you might have experience the difficulty of seeing corners of the road or highway during night time using the conventional headlight. The new invention from BMW dubbed Adaptive Headlight Technology is designed with roll angle compensation in relation to bank angle. 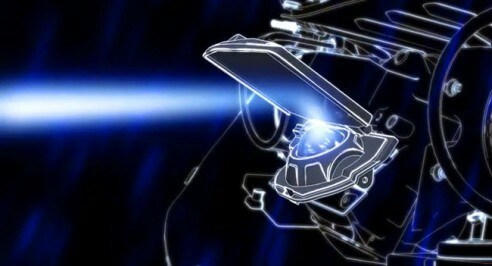 This new Adaptive Headlight technology will tilt to the position of the rider, whenever the motorcyclist begin to leans to the curvy shape of the road or highway, the centrally mounted Xenon Projection light will pose according to the degree of corner’s turn and start leveling the beam. This is possible by the installed on-board banking sensor that provides data to the bike’s central computer, which could control the traction of an anti-lock braking system and the headlights. BMW’s Adaptive Headlight technology is prepared for its K1600GT touring bike that comes with 6-cylinder engine. No info on pricing and availability, but we guess it will soon appear in 2011 on BMW’s K1600GT and the 1600GTL. Night riding will clear vision is now more fun than ever!